Epic has officially launched its Games Store with just half a dozen “hand-curated” titles. In fact, just three third-party games are currently available: Hades, Ashen, and Hello Neighbor: Hide and Seek. Unreal Tournament and Shadow Complex, both by Epic Games, are also listed. But it’s likely the store’s main attraction will be the PC and Mac versions of Fortnite. The Epic Games Store is up and running, and at a first glance it may seem rather underwhelming, especially in comparison to the thousands of games people can choose from over at Steam. However, apparently it’s part of Epic’s plan to start small and carefully build up its store, eyeing up quality over quantity. Although only three third-party games and three of Epic’s own products are currently listed, there are quite a few titles marked as “coming soon”. 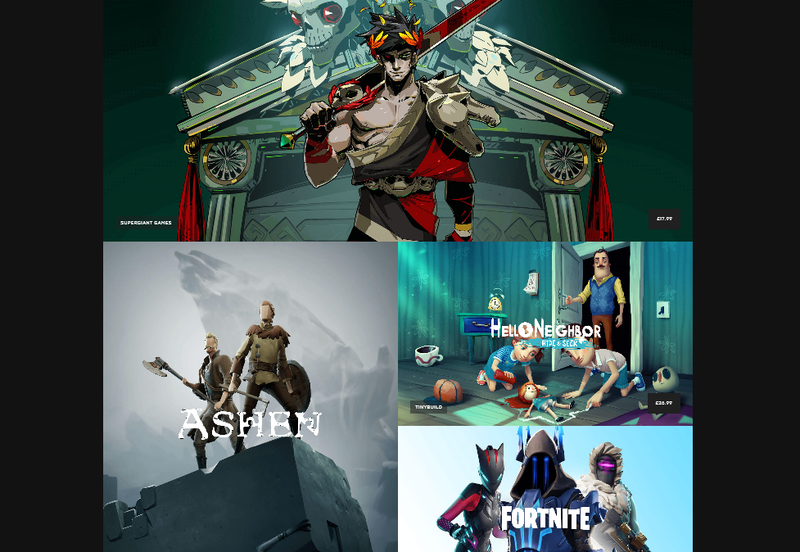 Current availability includes the RPG Ashen, the stealth horror game Hello Neighbor: Hide and Seek, and a dungeon exploration title called Hades (check out the Epic Games Store Launch trailer below to see clips of these games). Unsurprisingly, Unreal Tournament is open for subscribers, who can also pick up Shadow Complex or pre-order Genesis Alpha One. What should attract millions of gamers to Epic’s store is Fortnite. The PC and Mac versions of the smash hit will be exclusive to the Epic Games Store, which will help promote other lesser-known titles on the platform. Games listed as “coming soon” include the long-awaited third-person shooter World War Z from Saber Interactive, and the rather impressive-looking PlayStation port of the classic Journey, which was originally developed by Thatgamecompany and is being published by Annapurna Interactive for Windows. In a somewhat curious side note, the man who has been working as Epic’s Director of Publishing Strategy for the Games Store is none other than Sergey Galyonkin, who used to run the tracking website Steam Spy.